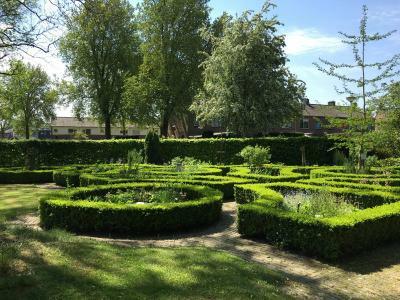 Lock in a great price for Hart van Lochem – rated 8.3 by recent guests! hoster was very very nice, we check in in morning, but she was very enthusiastic to open the door for us, and even made a late breakfast for us, very nice person, and crazy quite area, like nothing happened there....can only hear the rings from church, yes its on the side of a church, very calm place. and we had to leave very early next day at 5:00AM to catch the early flight at Schiphol, and she helped us call the taxi because there is no Uber there... its like a small village. Fantastic location and very comfortable. Spotless. Plus a great breakfast and a wonderful host. Nice house with terrace, small kitchen with coffee machine, courtyard to put the bikes, friendly staff, good breakfast, clean, quiet. It was clean and there was safe storage for our bikes. Ontbijt is prima. 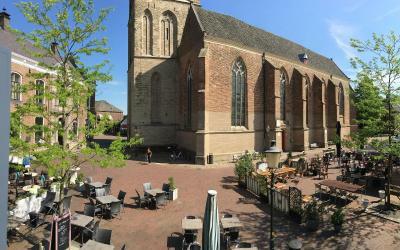 Mooi gezamenlijk terras achter. Zeer centraal gelegen. Bed was prima. Mooie gezellige locatie. Goed verzorgd. Lekker midden in het stadje. Super aardige mensen. Heel gastvrije ontvangst. Mooi verzorgde B&B. Smaakvol ingericht. Uitstekend ontbijt. 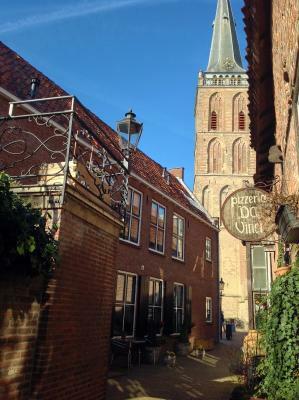 Hart van Lochem is located in the center of Lochem, next to the Gudula church. The bed & breakfast offers accommodations with a free charging point for electric bicycles and scooters. Also free WiFi is available. Zuthpen center is a 20-minutes’ drive. The accommodations are individually decorated and have a flat-screen TV with a variety of cable channels. Each room has a private bathroom fitted with shower. Guests can relax on the balcony or in the garden with a drink or meal. A variety of hiking and cycling routes can be found within a distance of 0.6 mi. Guests can rent bikes and e-bikes at the property. Deventer is 35 minutes by car. Apeldoorn, National Park HogeVeluwe and Apenheul Zoo are a 35-minute drive. The A1 highway is a 14-minute drive. 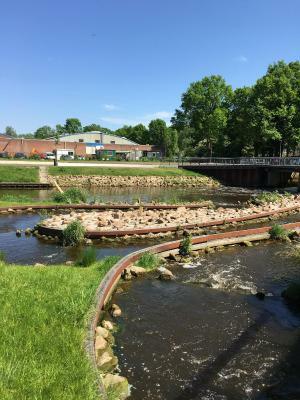 This property also has one of the top-rated locations in Lochem! Guests are happier about it compared to other properties in the area. 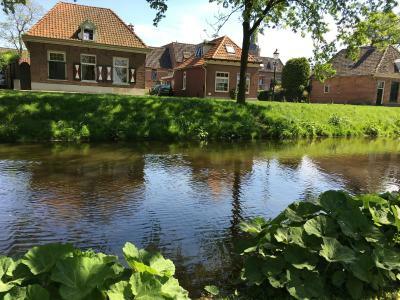 This property is also rated for the best value in Lochem! Guests are getting more for their money when compared to other properties in this city. 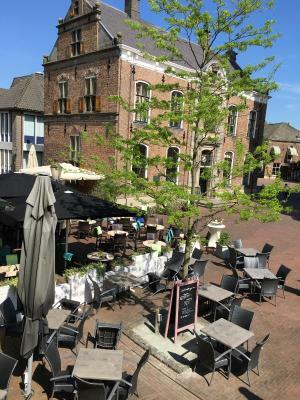 When would you like to stay at Hart van Lochem? This room features a flat-screen TV, and private bathroom with shower. Breakfast is not included, but can be added for EUR 7,50 per person. This apartment features a terrace, kitchen, seating area and flat-screen TV. There is a washing machine and clothes dryer as well. Breakfast is not included in the rate, but a filled fridge can be requested as a supplement for EUR 15. House Rules Hart van Lochem takes special requests – add in the next step! ATM card Hart van Lochem accepts these cards and reserves the right to temporarily hold an amount prior to arrival. Hart van Lochem accepts these cards and reserves the right to temporarily hold an amount prior to arrival. Please note check-in outside the regular check-in hours is only possible upon request. Please use the Special Request box. 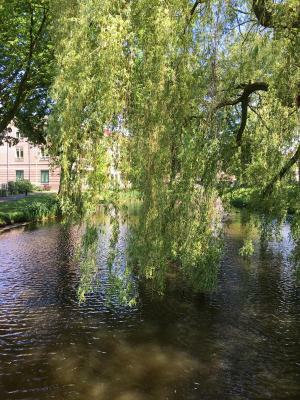 Please note that free parking is available at Prins Bernhardweg 24, which is a 5-minute walk from 't Shanda Lee.In addition, free parking is also available at Julianaweg, near Noorderwal 52. This area is located at a 3-minute walk from the accommodations. Please note that all rooms are located on the first floor and cancelations are only free up to 3 days prior to arrival. Please inform Hart van Lochem of your expected arrival time in advance. You can use the Special Requests box when booking, or contact the property directly using the contact details in your confirmation. actually its an Airbnb apartment, not a hotel, and stores there do not accept VISA card, only some local cards or cash. no lift to the second floor, if you have heavy luggage, hard to climb that small stairway. It was horrendously hot - so unbearable that at one point one of us slept on the bathroom floor to try to be cooler. Cleanliness could be a little better. Location, spacious, value for money. Street parking quite far away. The room rather basic, lacking a touch of design.